VLC for Android; Upgraded Version 1.0 Is Now Available In Play Store. Apps » VLC for Android; Upgraded Version 1.0 Is Now Available In Play Store. For the Tech acumen the VLC stands out as the preferable video player. It has been available in almost all desktops and for about two years in Beta form for Android too. Now it is all ready to slowly move away from Beta and graduated to a 1.0 Build. It is thus exited from the Beta version though the official release of the same is yet to come from VideoLan. 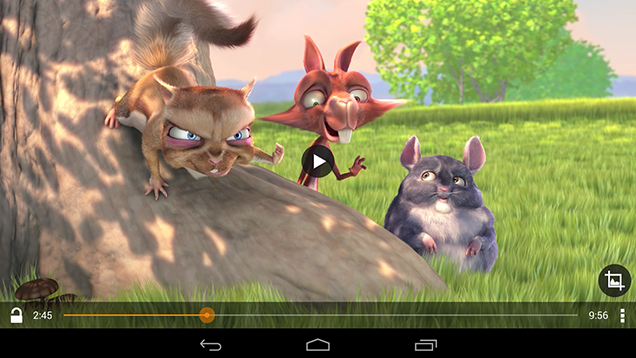 VLC will be now available in Android Smart Phones by reaching a Stable Version. The newest version 1.0 of VideoLan’s open source media player is now free to download on the Google Play Store. VLC on Android is not done with receiving updates though it exited Beta tag. This Version adds some fixes for ARMv8 processors and Android 5.0. By about June it was announced on the Chromecast support but it still isn’t available and might be in store for the future release. With albeit still in Beta stage, VLC for Android plays local videos, audio files and network streams, alike the VLC versions for Desktops. Browsing folders directly is possible with the media library of this Android app. It also supports multiple tracks of audios and subtitles, auto rotation, aspect ratio adjustments. It provides the option of controlling volume and brightness via gestures. Widget for audio control, audio headset controls, cover art and complete audio media library are thus the characteristic features of the newly announced Android app. It is thus something to cherish for the admirers of the play anything-Video/Audio app. Love craftsmanship. Writing relieves me regardless of the discourse. Love to take up challenges and explore unknown realms of knowledge. Technology is something afresh and inspiring genre for me.